According to the Oxford English Dictionary, the word “monkey” may originate in a German version of the Reynard the Fox fable, published circa 1580. In this version of the fable, a character named Moneke is the son of Martin the Ape. 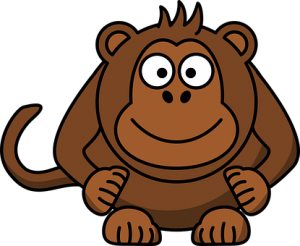 The word Moneke may have been derived from the Italian monna, which means “a female ape”.